In Good Company http://www.ingoodcompany.co.za/ opened their new store in Parkhurst, Johannesburg and I took time off baking to visit this new delightful treasure trove of a shop. I came home with my goodie bag of treasure into which had found its way a pack of vintage cupcake cases (Cake cases for tempting treats). At the time I fell in love with these cases but wasn’t sure where or when I would use them. The perfect opportunity came when Michelle asked me to do birthday cupcakes for her friend Pat. Knowing both Michelle and Pat, both ardent scrapbookers, I knew that these beautiful cases would delight them both. 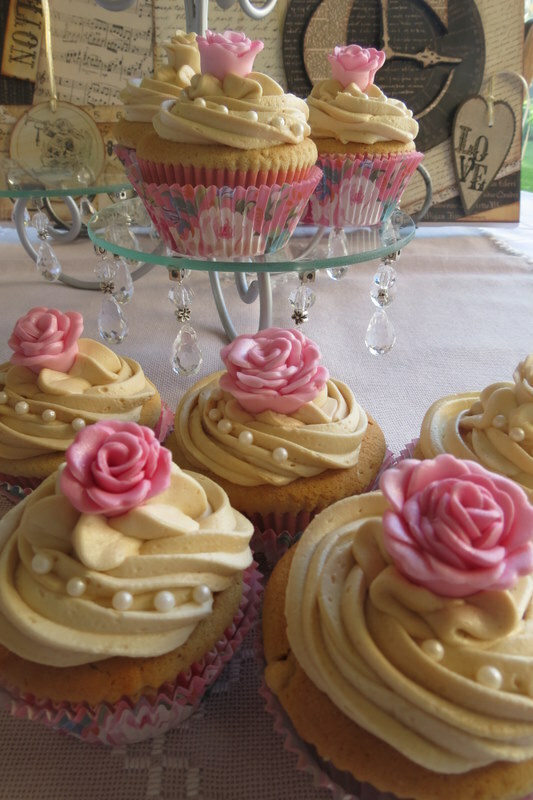 The cupcakes I baked were iced coffee flavour. 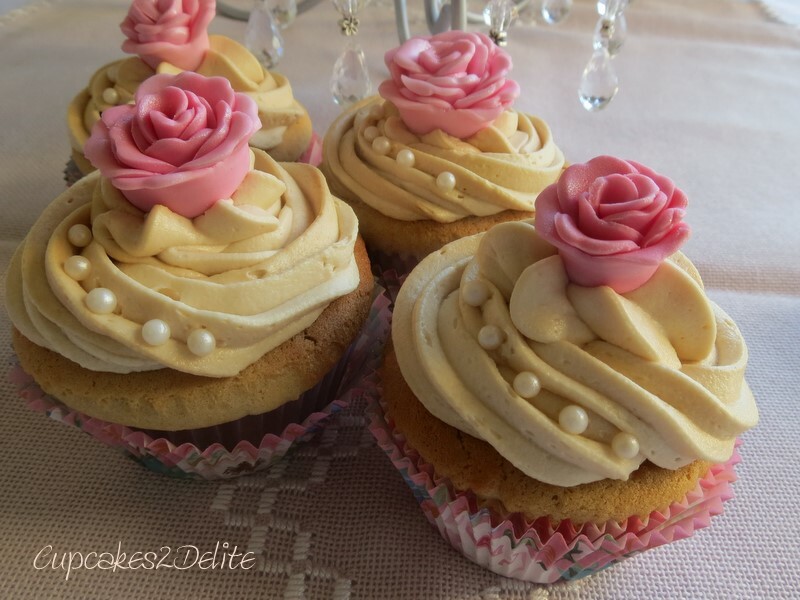 I added a cup of Woolworths Iced-Coffee to my vanilla mixture for a different flavour and then added espresso powder to the icing for a rich coffee flavour and colour. 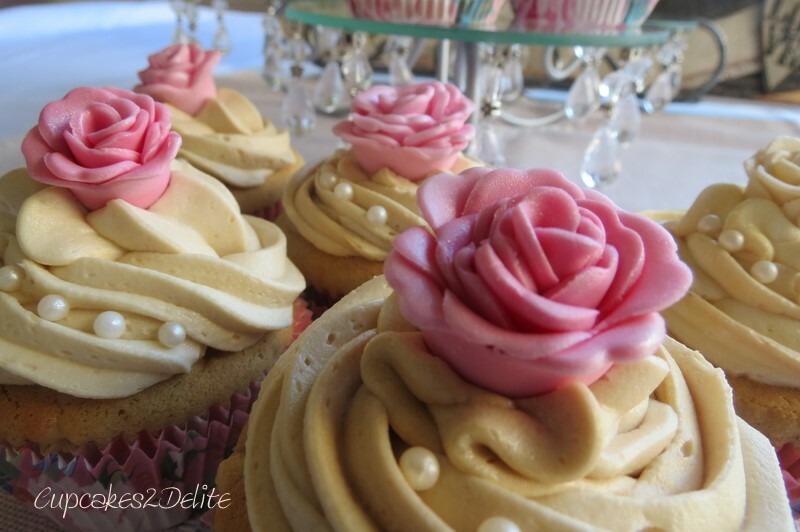 The sugar paste roses I made from a dusty pink sugar paste and I finished them with a dusting of Rolkem’s Cerise Sparkles. 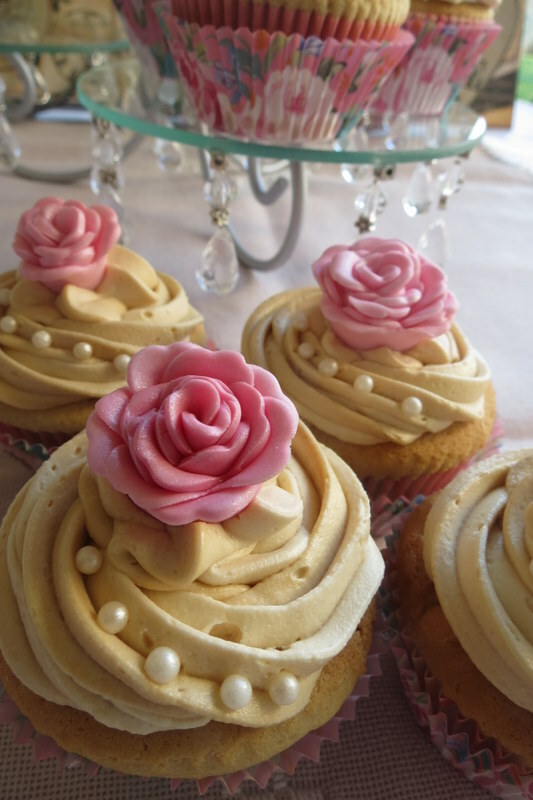 They complemented the cupcake cases perfectly nestled in the coffee icing and the cream sugar pearls add to the vintage appeal of these cupcakes. Happy Birthday Pat and I hope you had fun celebrating your birthday with your friends and your cupcakes! You are so welcome Michelle. 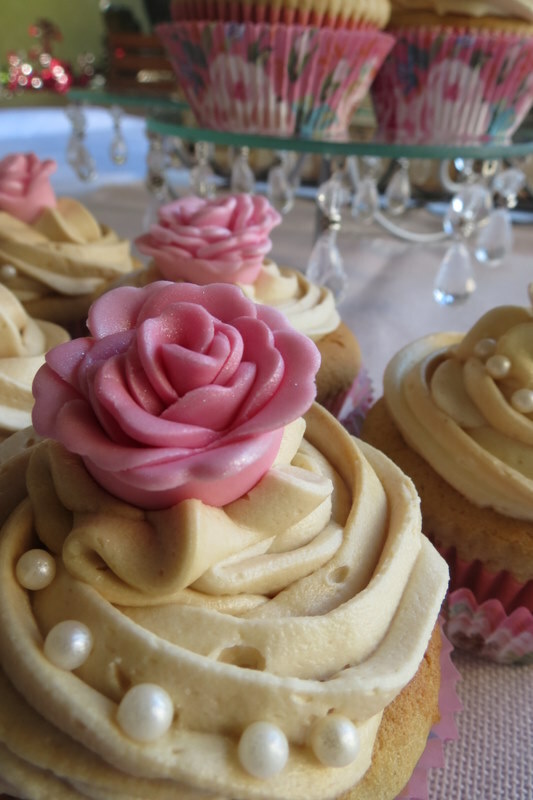 ooooohhhh – these are beautiful – and the casings are so full of vintage flair and the ingredients in the cakes sound so delicious and the photography is excellent…. Thanks Lisa, my photography is improving learning from you! Will source more of these cupcake cases as they are gorgeous to photograph.